Stay on top of insurance coverage, driving habits, and safety issues. Your fleet is an indispensable part of your business. Literally, it is your means to reach customers. It also represents a significant liability risk. Whether you have one truck or 20, there are a number of practical things that you can do to manage this risk. Here are some ideas. Insurance: Be sure that you are carrying the correct type of commercial coverage with limits that are appropriate for your size of business. Ask your agent to inform you of any special limitations or conditions on the policy. Employee behavior: While your highest priority in hiring an HVACR technician is the individual’s technical skills and training, if he or she is to be entrusted with a company vehicle, you must also be concerned about the individual’s driving record. 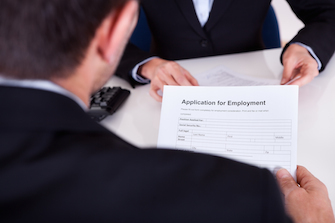 In most states, it is possible to require a potential employee to present a copy of his or her driving record as part of the employment application. 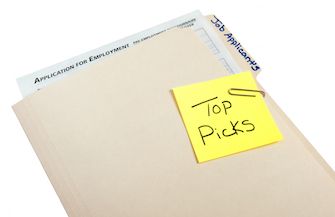 You need to know if a potential employee has a history of speeding tickets or accidents. One of our clients spends a couple of days on the road with each new employee so that he can observe driving habits. He knows that if he is uncomfortable as a passenger, the employee is someone who shouldn’t be entrusted with a company vehicle. Many employers adopt specific written policies regarding driving behavior. These policies address such items as maximum permitted speed, safe following distance, permitted vehicle use, and the like. If adherence to such written policies is a condition of employment, an employee’s failure may be grounds for firing. Safety: A regular schedule of vehicle safety checks can be nearly as cost-effective as a regular preventive maintenance program. Additionally, be sure that your vehicles are equipped to deal with accidents. Every vehicle should have a first aid kit as well as a safety kit with flares, a flashlight, and the like. Accidents: It is critically important to have a short written procedure for drivers to follow when they are involved in an accident. Immediately after calling for emergency help (when necessary) and attending to any injured persons, your drivers should be instructed to notify a specific individual at the company. Drivers involved in an accident should be instructed that they should never admit liability or promise to pay for expenses incurred by the other party. Instead, they should be advised to tell the other driver that they are not permitted to discuss the circumstances of the accident and that an authorized person will contact them. Drivers should be required to fill out a detailed accident report immediately following the accident and should be encouraged to take pictures, if a camera is available. As you can see, managing motor vehicle risk is a matter of attending to numerous small details. There is no doubt that a thoughtful, considered, and systematic approach to fleet risk management will reduce your liability exposure.